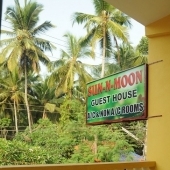 The region known as North Goa, traditionally speaking starting at Ponda on its southern edges, through Tiswadi where the capital Panaji is situated by the Arabian Sea, up north on the same coast line are Bardez and Mapusa, on the east is Sattari bordering with Karnataka, then Bicholim and Parnem on the far north on the border with Maharashtra. 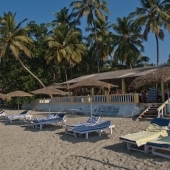 North Goa resorts are generally more veteran, then those in the rest of the state, as international tourism had been nestled here much longer, this fact has obviously both good and bad aspects, the price range is typically higher but so is the service levels and the facilities in the resorts in north Goa, you can find Goa cottages or beach huts in north Goa, even basic ones for a budget travellers and surely there are many luxury Goa beach resorts and accommodation that are more family orientated, such hotels or short term rental villas on the north Goa market. 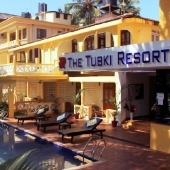 The old city near Vasco da Gama, Panaji the Capital the fortresses and the churches in North Goa offer much to do for a history and architecture lovers among travels, The night market or Saturday market in Anjuna and the old markets in Panaji and Mapusa offers authentic India shopping experience. 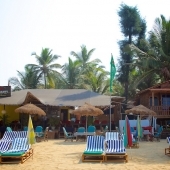 The night life in Baga beach and Calanguth beach is the best Goa has to give even a true party animal, Night clubs and beach parties are happening all around. 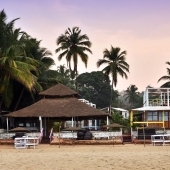 Beside all this, if all you wish is to lay back, relax and enjoy the Goa beach life, drop in any beach up north coast line, each one has advantages, the best one can do is choose the north Goa resorts with the best vibe for you.